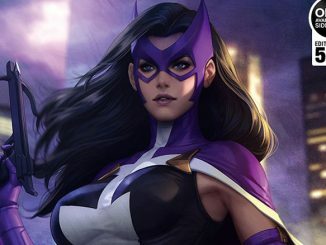 Helena Bertinelli or Helena Wayne? 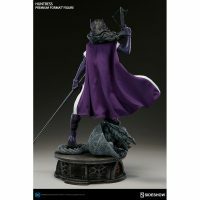 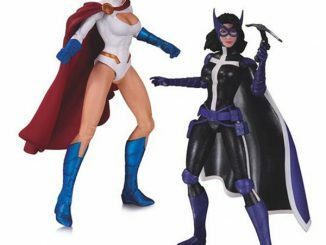 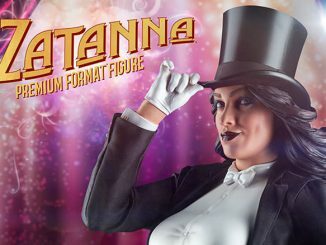 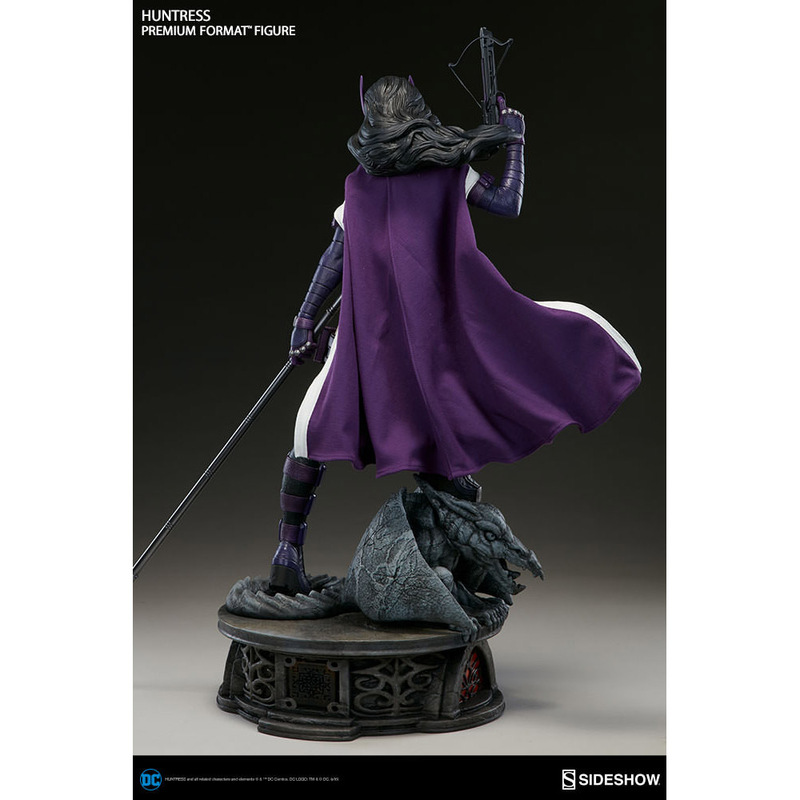 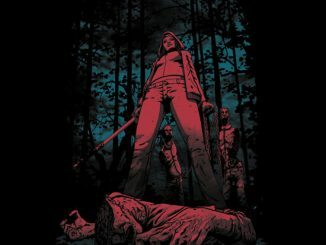 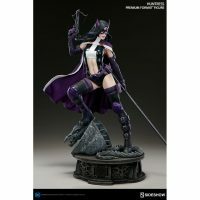 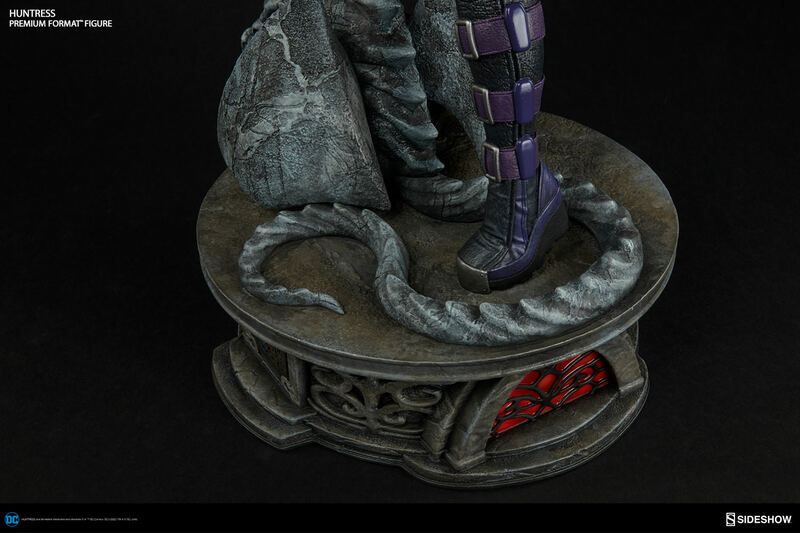 The Huntress Premium Format Figure can be either one, or maybe both at once, although that would be weird. 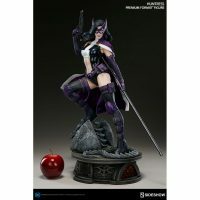 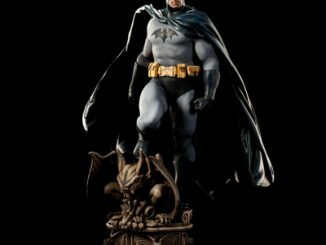 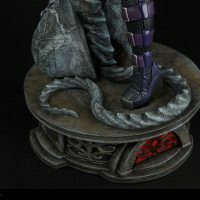 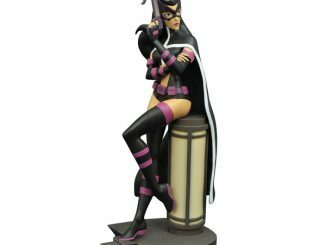 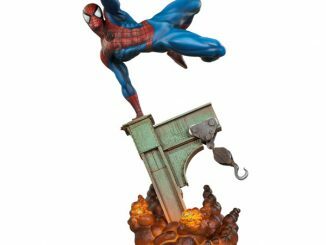 Whether you envision her as the dark hunter of the mob or as the daughter of Batman and Catwoman, this 23-inch-tall statue is awesome. 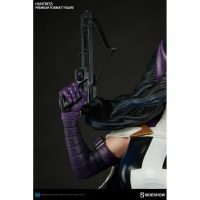 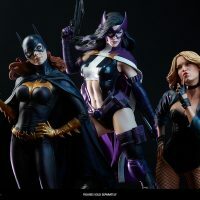 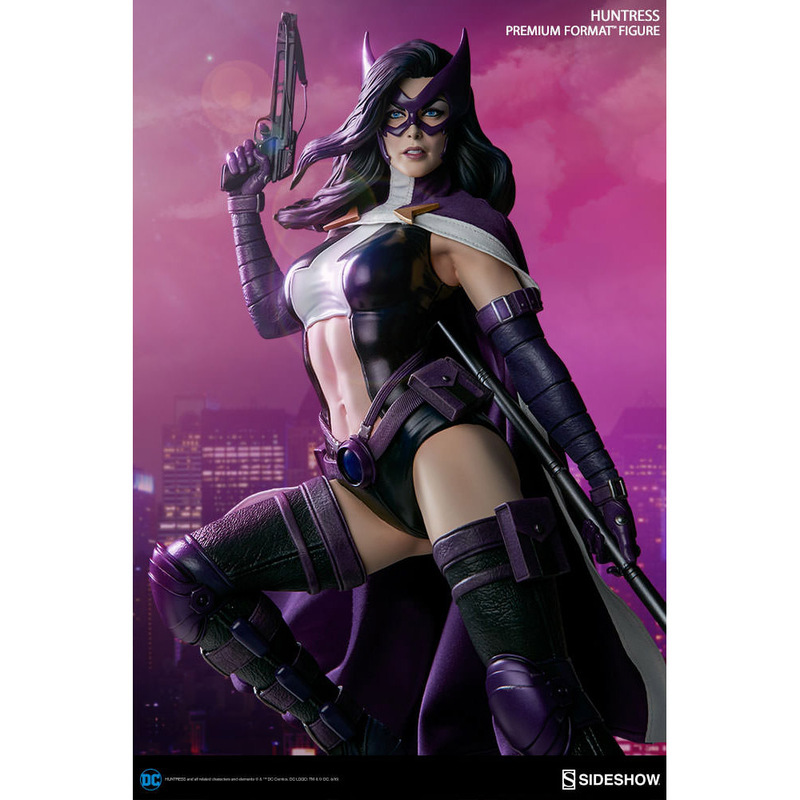 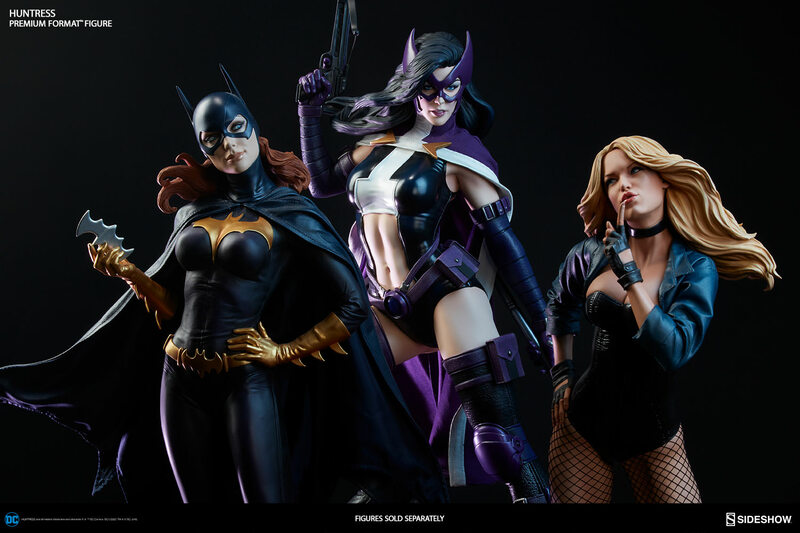 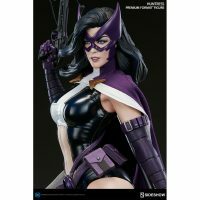 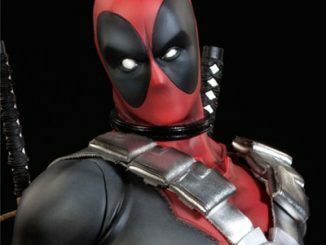 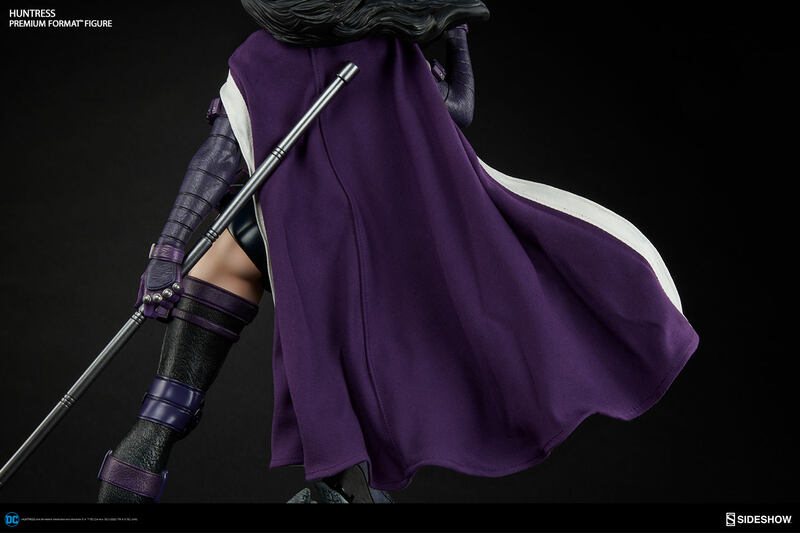 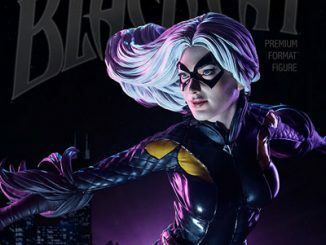 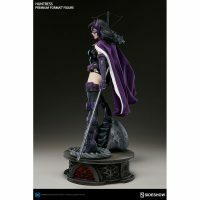 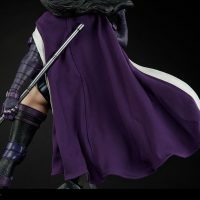 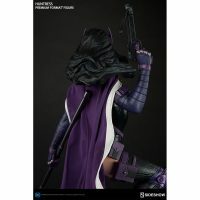 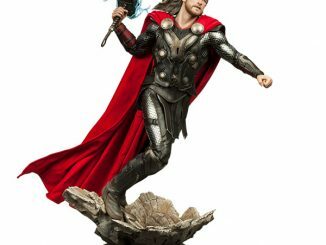 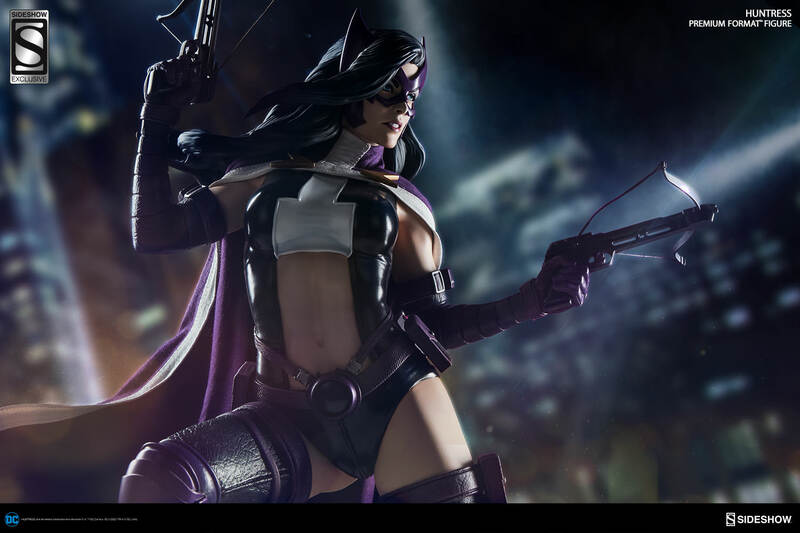 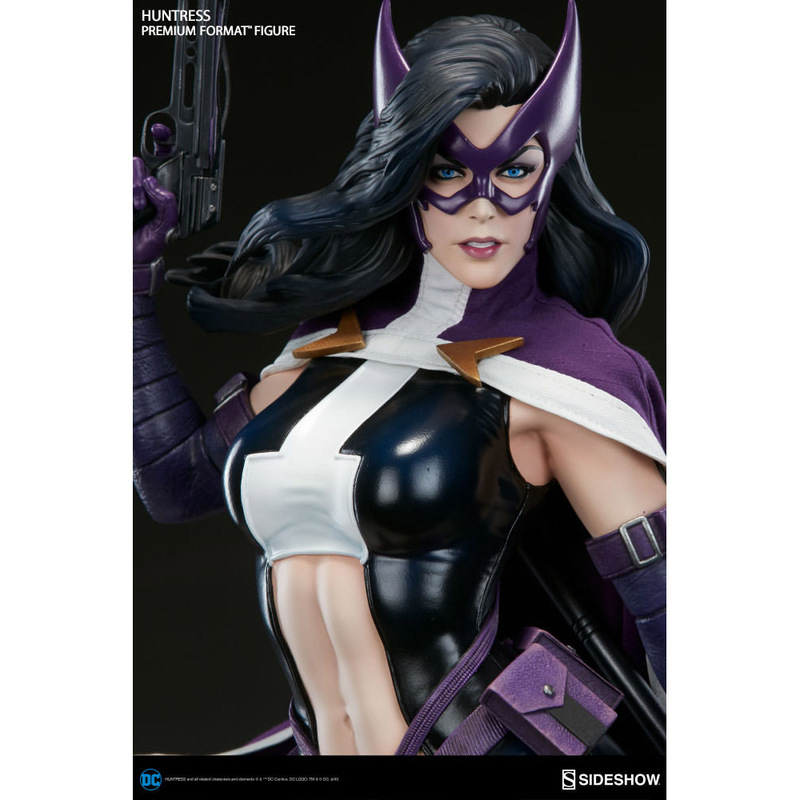 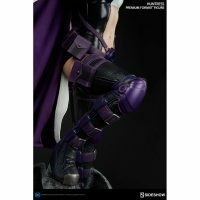 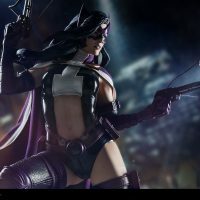 The highly-detailed figure features the Huntress in a stylized version of her iconic black and purple costume, and the exclusive Sideshow Collectibles figure includes an alternate left arm that lets the character wield two crossbows at once or a crossbow and a staff. 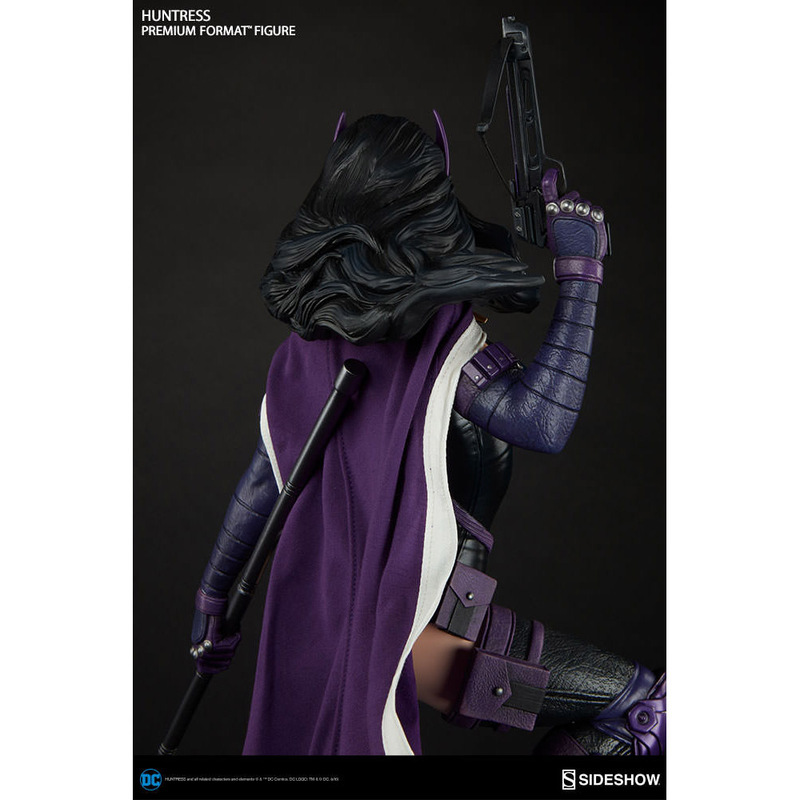 The Huntress Premium Format Figure will be available Sep 2017 – Nov 2017 but it can be pre-ordered now for $469.99 at Sideshow Collectibles.